New Delhi: As the Special Olympic World Summer Games 2015 culminated in Los Angeles, the Indian contingent made its presence felt and sought the praise of Indians from all strata. Topping the list was Prime Minister Narendra Modi, who extended his heartfelt appreciation to the Indian team of participants. Modi said that the Los Angeles 2015 Special Olympics was a triumph of determination, hardwork and sportsman spirit. He added that the achievements of Indian contingent at Los Angeles 2015 Special Olympics was truly gladdening and the contingent has made India proud. 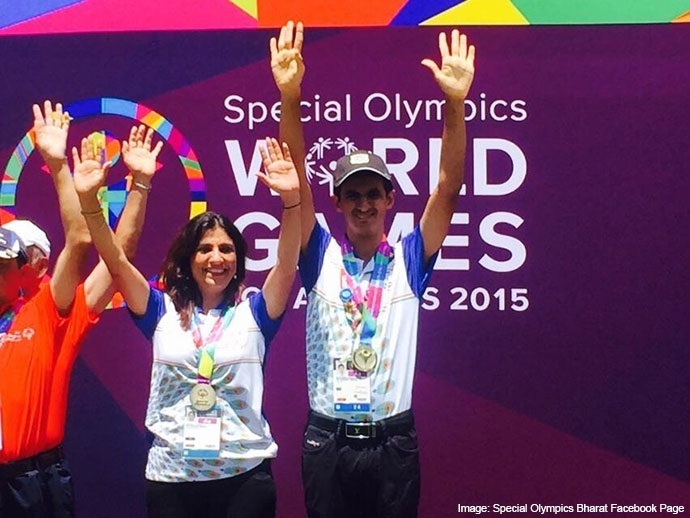 The 2015 Special Olympic World Summer Games was held in Los Angeles, USA from 25th July to 02nd August, 2015. The games featured competitions in 25 disciplines. US first lady Michelle Obama joined the opening ceremony held on 25th July, 2015. The Indian contingent comprised 275 athletes and coaches in 14 Discipline. The performance of Indian contingent at the 2015 Special World Summer Games has been outstanding. A total of 173 medals, including 47 Gold, 54 Silver and 72 Bronze have been won by our athletes. Some of the outstanding performances of our athletes include the stellar performance of Ranvir Singh Saini, who created history by becoming the first Indian Golfer to win a gold medal in the Games. Roller skating athletes won a total of 39 medals, which include 10 Gold, 17 Silver and 12 Bronze. Such a large number of medals have been won for the first time. Our athletes won a total of 47 medals in Athletics, which is the main contribution to the overall medal tally.